You may be fancying your chances to study overseas at your dream university. Well, possibilities are high to land up in a dilemma and eventually lose your way, with too many offerings at your disposal. It is important to seek a professional guidance from the abroad study consultants where the experts assess the potential of each candidate and direct them in pursuing the right course. Besides, when you have a professional backup, you can mitigate documentation issues like visa, immigration clearance and so on. In Mysore, EduTrust Consultantsprovide comprehensive career counselling services to aspiring students, along with assisting them through the admission acquiring process. 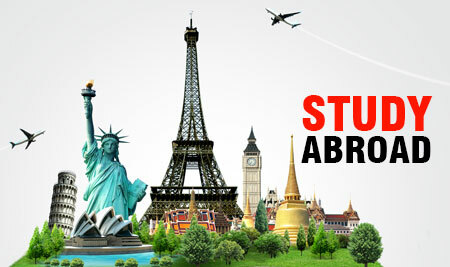 If you have plans to study abroad ahead, you can get across to us for a steadfast assistance. Have a look at the range services that the abroad study consultants in Mysore have rolled out for the students. Students applying for admission in foreign universities often get tangled up in the formalities lying in the path. We provide a complete assistance to students during the application process, particularly while filling up important forms and submitting them. Besides, you may need our assistance while clearing the aptitude and proficiency tests. Aspiring students need a comprehensive knowledge about the top professional programs that the leading universities offer. Amid the information clutter in websites, it is difficult to scan through the curriculum in these institutions. The abroad study consultants in Mysore canbrief you up about the career prospects on pursuing each of these courses, and you can make your move accordingly. The professionals at EduTrust Consultants offer a seamless backup to students while they clear their immigration process. You may find it difficult to deal with the documentation formalities, particularly when you do not prior experience in travelling abroad. Our abroad study consultants in Mysore will draft the visa letter for you and make sure that you are on the right track. When you travel abroad for studies, the last thing you would expect is to get entangled in legal issues. Considering that each country has its own specifications with regard to the documentation process, it is important to understand their requirements. With our abroad study consultants assistance, you will be able to submit the right documents and comply with the prescribed norms. At EduTrust Consultants, we have got our own career counselling mechanism, that consists of counselling and a series of aptitude teste. This helps us understand the core potentials of a student and their aptitudes. After you undergo these career counselling sessions, you will be able to make your decision regarding the choice of a particular course, university and country. Studying abroad involves a considerable investment. More importantly, students need a professional guidance in selecting the course that complements their professional pursuits. With a comprehensive assistance from the abroad study consultants Mysore, you can direct your potentials in the right channel. We also provide adequate support in learning about orientations, finding accommodation abroad and other relevant areas. Have a consultation with us to experience a hassle-free journey when you travel abroad for studies.